We finished our January 2019 retreat. Honor yourself and your need for self-care. See and feel the transformation. Peace, harmony and tranquility are the keys THE RETREAT provides. THE RETREAT COSTA RICA is the brainchild of Celebrity Chef, two-time best-selling author, and Health and Wellness Life-Coach, Diana Stobo. Diana’s goal was to create a transformational wellness center, literally “Heaven on Earth,” where every day people could come to escape the chaos and stresses of their lives and take an opportunity to reset their internal sense of balance in a nurturing and gentle environment. 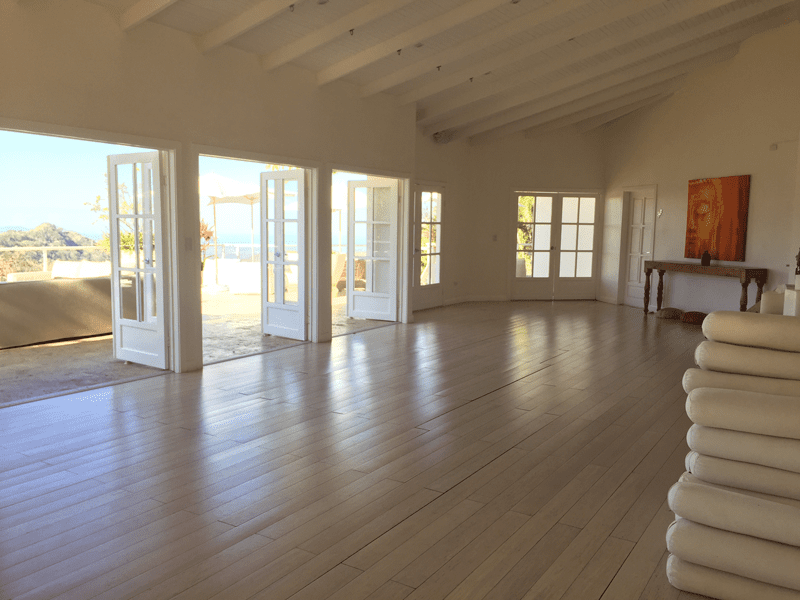 THE RETREAT is more than a luxury wellness destination; it truly is “Heaven on Earth” — a place where visitors can let go of the stresses of everyday life and learn how to create the inner feeling of balance within that you have always dreamed of having in your life. 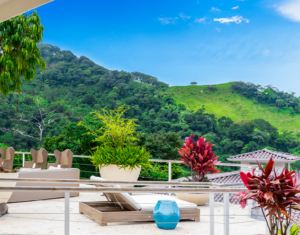 Located less than 30 minutes from San Jose International Airport in Atenas, Costa Rica, THE RETREAT is nestled in the arms of a quartz mountain and overlooks a stunning balcony to the Pacific Ocean. 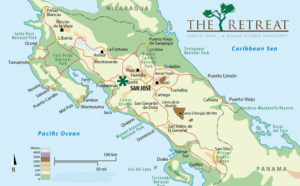 THE RETREAT provides incredible panoramic views extending over 60 miles across the world-renown beauty of Costa Rica. Stay tuned in for more information. The Yoga Studio Network™ is owned and operated by CoOptions Health & Wellness Marketing. We provide brands with custom grassroots trial and activation programming at yoga studios at a local, regional and national level. © Copyright 2019 CoOptions Health & Wellness Marketing. | All Rights Reserved |Yoga Studio Network™ is a trademark of CoOptions, Inc.